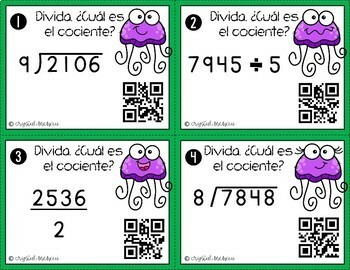 These *SPANISH* 4NBT6 Multidigit Whole Number Division math task cards are LOW PREP and great for small group, center activities, intervention periods, and early finishers. 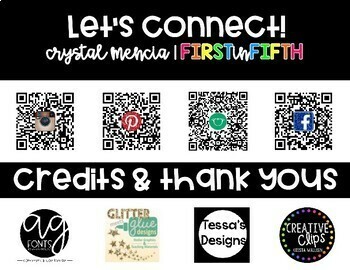 QR Codes make these cards SELF-CHECKING for independent use! 4NBT6 - Find whole-number quotients and remainders with up to four-digit dividends and one-digit divisors, using strategies based on place value, the properties of operations, and/or the relationship between multiplication and division. Illustrate and explain the calculation by using equations, rectangular arrays, and/or area models. PRINTING DIRECTIONS: Task cards should be printed single-sided using the “print to fit page” option and cut into fourths for student use.